Structure from Motion find camera poses & a structure to an unknown scale of the real metric measure. 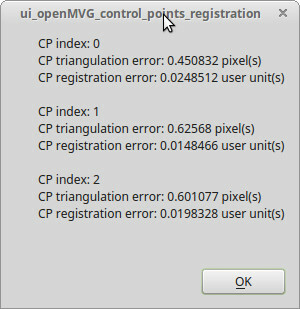 In order to restore the correct scale and orientation to known 3D coordinates, OpenMVG provide a GUI to perform Ground Control Point registration. Given some 3D known ground control points and their 2D observations in some images, we can compute the rigid transformation to move the SfM scene to the known 3D coordinates. The rigid transformation (7Dof) is computed in least square between the triangulation of the observations and the known 3D positions). For your ground control points your can use specific pattern or object for which you known the measures (post-it, ruller, calibration target...). Figure : Ground Control Point registration principle illustration. 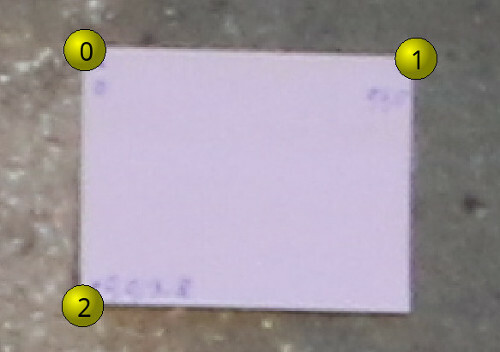 In this sample we scale the scene from the known dimensions of a paper target (see the post-it on the images below). 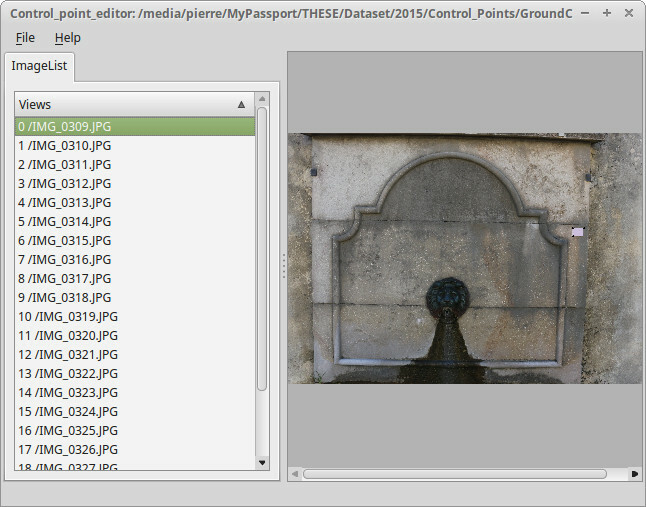 File/Open Project (CTRL+O) and open an sfm_data file. to move your GCP click to it, and keep left mouse button clicked while moving it. 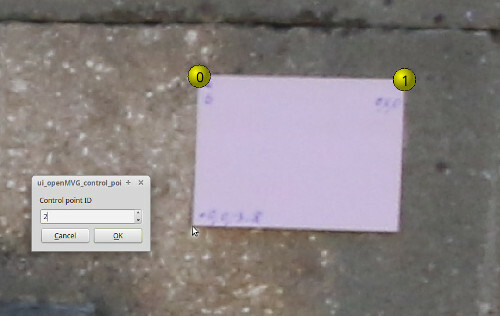 If at least 3D control points exist and iff their observations are triangulable, the registration will be performed and a report appears. File/Save Project (CTRL+S) and save your sfm_data file. 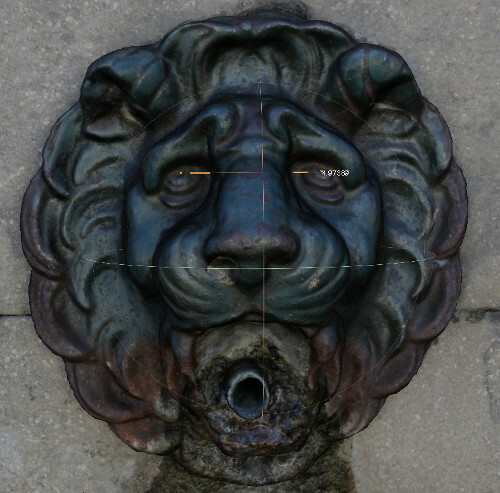 Post-process or use directly the point cloud to perform measures.